Shooting digital is great, in fact the way I work would just not be possible with film.. however, film has a very special place in my heart. Anyone who has been to my studio will have seen the my collection of vintage film cameras including a Rolleiflex, Poloroid and various Nikons. I even have the original Kodak Instamatic 33, however I discovered that the film has been discontinued.. So very happy to find the new Lomo'Instant Sanremo Edition. Ordered it along with some Fuji Instax film and looking forward to the first shoot tomorrow with Textile artists Richard McVetis. Stay tuned for updates as I start shooting with this beauty. 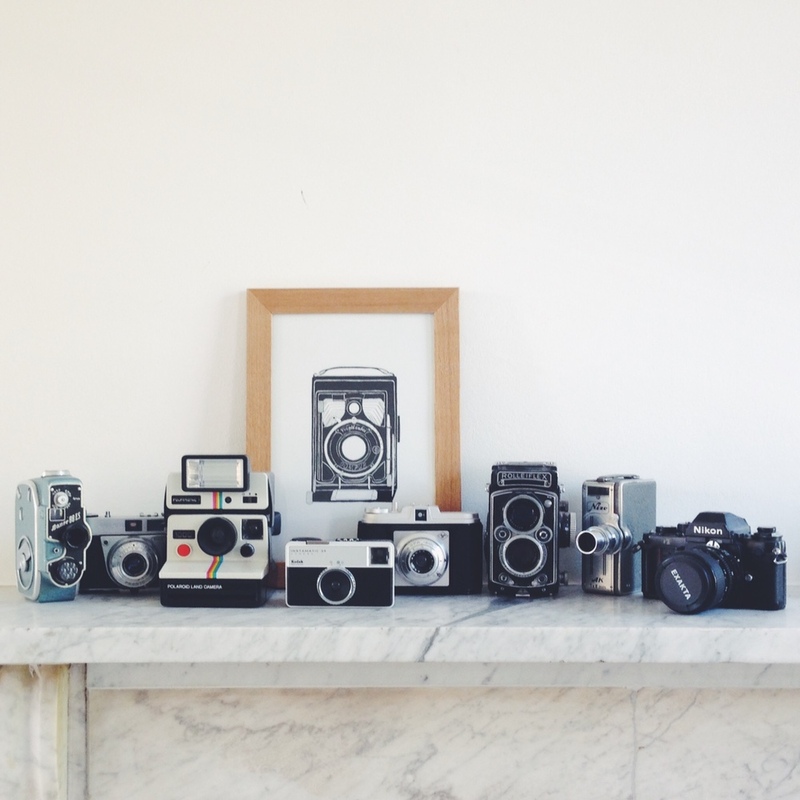 A sample of my vintage camera collection. Update! Just found this company is going to start producing all kinds of discontinued film, even the 126!